Technology is a tremendous development. But quite often when we talk about technology, we associate it with overseas-based companies. Here in Samoa, one company blazing the trail with the use of advanced technology to make a real difference in every day life is SkyEye. It is ground breaking company that offers services in vehicle tracking, U.A.V remote sensing, Geographic Information Systems, I.S and real estate. It saves money, reduces the headaches and gets you the desired results quicker. 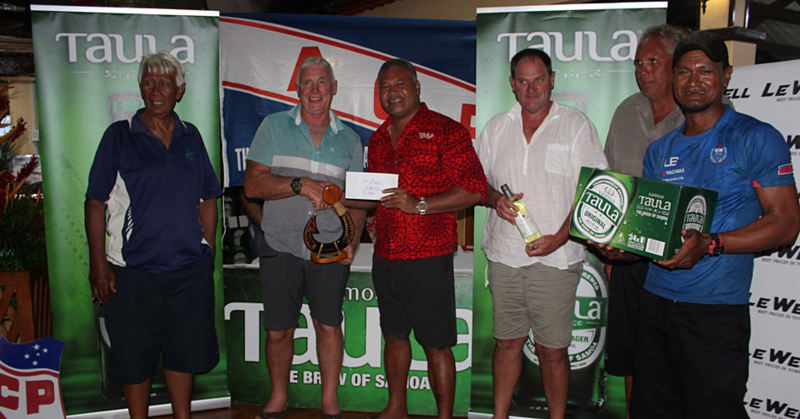 Today the Samoa Observer unveils the brains behind the company. SkyEye’s office is a hidden gem at Vaimoso-uta. It is owned by the Saili family who have roots in Fasito’o-uta, Saleaula and Faga, Savai’i. Although, all the board of directors are siblings, the main man behind the machine is SkyEye’s Chief Executive Officer, Fa’aso’otauloa Sam Saili. 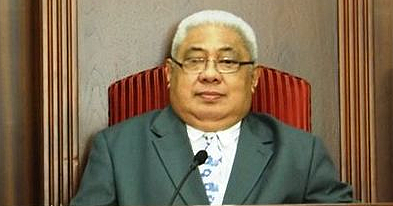 Fa’aso’otauloa is the son of the late Fa’aso’otauloa Sam Saili and Taimaaiono Metotagivale Leaupepe Saili. His father was the Minister of Finance who constructed the cornerstones of the economy and had a helping hand in the creation of the industrial heel in Vaitele, N.P.F, and Central Bank to name a few. His father’s work ethic and intelligence left a lasting impression on his children. After his death in 1990, it left a rift in the family momentarily as they grieved for their father but then they picked themselves. It was after his death that the family really came together. The young Fa’aso’otauloa was astounded by the courage and strength his mom showed through those rough times as she was now a single mother with 7 kids to feed and no income. The only thing she had was her faith in God to carry them through those dark days. The siblings banded together with the older ones taking the reigns in the family. “I think that him passing away and leaving us nothing meant that we looked after each other,” he said. As the older ones left to pursue higher education, they would never forget their family and send back remittances to help. Then when the younger ones grew up, they did the same. It was in these moments that cemented and strengthened their bond as siblings that allowed them to be the family and business partners they are today. Fa’aso’otaouloa grew up in Samoa attending Apia Primary, Samoa College, U.P.Y and then securing a scholarship overseas. After his studies, he returned to the islands and worked in the government until branching off into the private sector. Finally, with his background in I.C.T and the collective knowledge of his brothers and sisters, they were able to start Skyeye. 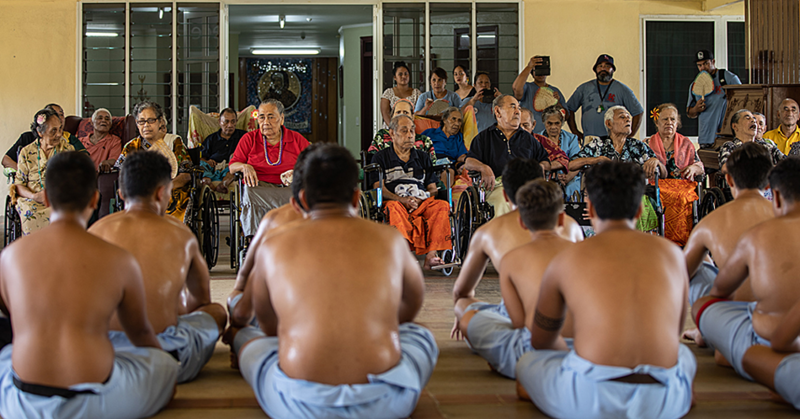 Fa’aso’otaouloa acknowledged the guidance of Afoa Kolone Vaai in the creation of SkyEye. “The first one we launched successfully was the vehicle tracking. There are so many benefits in vehicle tracking. It’s the reduction in fuel cost and the abuse of expensive capital equipment,” he told the Samoa Observer. Many would think that having siblings as part of the board of directors would be a conflict of interest but for the Sailis it’s the best part. Asked what inspires him, Faaso’otauloa lights up as he recounts what inspires him most. Of course trying to implement anything new is often met with pushback by people who are reluctant to change. Thus, some of the hurdles Skyeye has faced as they introduce ground breaking advanced technology to a system that still record everything in writing is definitely going to face a lot of push back. “The biggest challenge we’ve had is education and people not knowing the service we provide or not understanding them. It was a hard hurdle to try and educate people with what tracking can do for them. “But now it’s going into mainstream, what the vehicle tracking can do for them and business to grasp. Now we’re introducing drone technology, which is also a big educational hurdle that we have to keep presenting to potential clients. “Especially to agriculture and U.N.D.P, because overseas, this is what they use to get surveys of the environment. “Overseas, it’s a common thing but it something that we have to educate the local partners. The old way of doing things have worked for a long time but the new way can save them a lot of time and a lot of money. But also give them so much more information. Faaso’otauloa also believes leadership is extremely important.